Leh and Ladakh are truly one of the most unique and magnificent tourist destinations in the country with a magical landscape dominated by the world’s mightiest mountain range, the Himalayas. Leh is the second largest district in India, located at an average elevation of about 3500 metres and known for Himalayan kingdom of Ladakh, Buddhist Monastery, land of high mountain passes and more. Leh-Ladakh has been a dream destination for reasons more than one. Ladakh is renowned for its high mountain passes and far-flung mountain beauty. It is popular for cold desert Nubra Valley and culture. Among the most popular places of tourist interest in Leh Ladakh include Drass valley,Suru valley, Kargil, Gomchan Valley and lakes of the Changthang. Zanskar valley is the ideal sanctuary away from the maddening crowd. 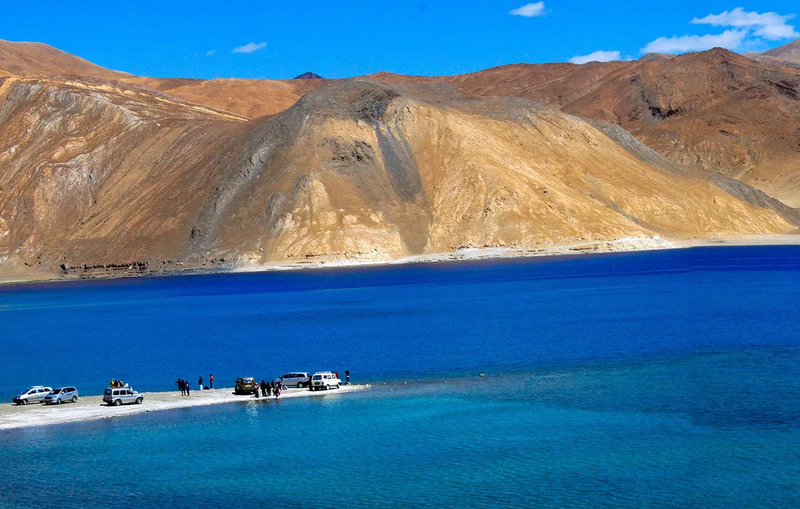 The beauty of the Pangong Tso Lake is mesmerizing and takes you into an entirely different era that you can savor and store in your heart forever. Leh Palace was built by the Buddhist kings in 1553 and still stands tall as a testimony to the architectural brilliance of that era.Your one trip can never be enough to explore these amazing places.